If you searched Pinterest D.I.Y, Mason Jars are more likely to pop up than any other. 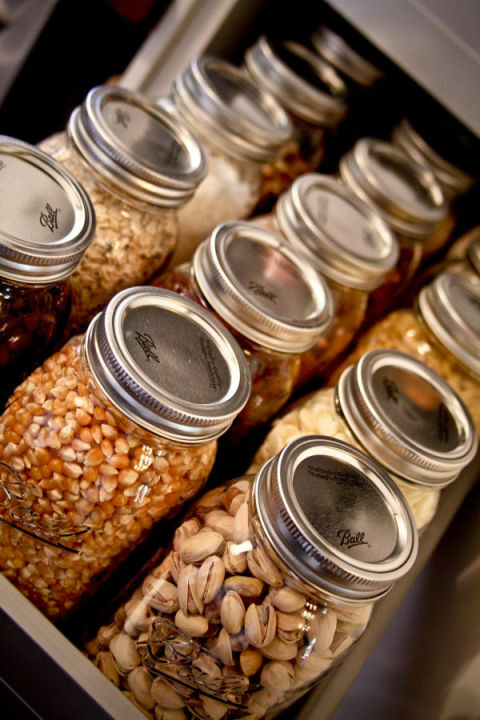 Mason Jars are so useful and functional and almost every single way. 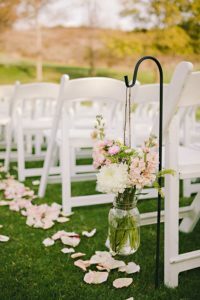 There are so many different ideas that you can do with a Mason Jar, no wonder why people keep inventing new ways/ideas to make this simple jar into something splendiferous. Yes! 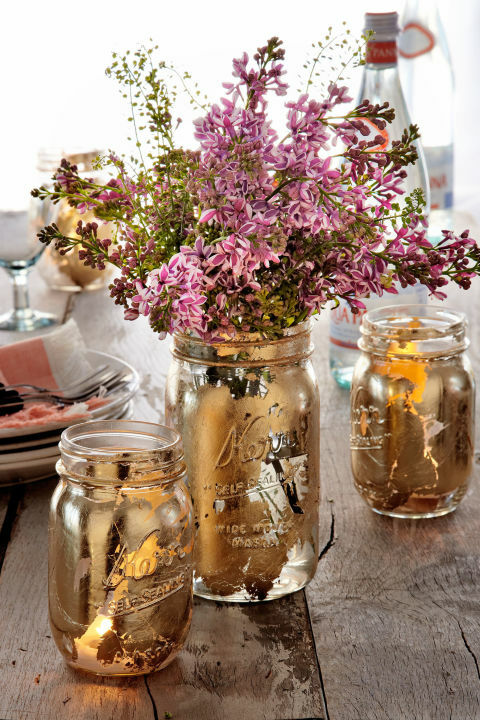 I said ‘SPLENDIFEROUS’ Take a look at these absolutely fabulous mason jar idea that ‘Moi” has complied. 1. 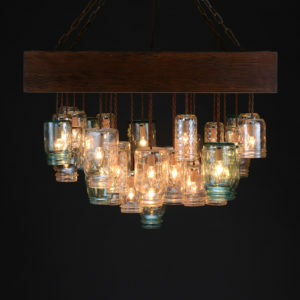 This is a gorgeous chandelier piece made with mason jars. Just imagine hanging this up at your wedding ‘STUNNING’. 3. 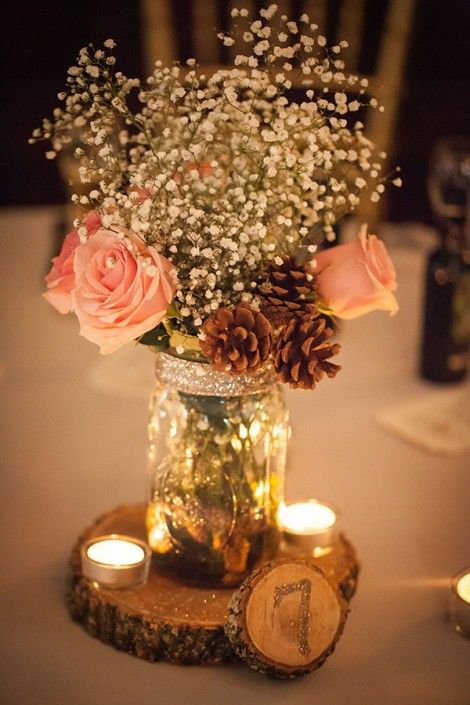 Mason jars can be used for centrepieces, not just for your home but also for your wedding decor. You steal this idea and put your touch to it. 4. 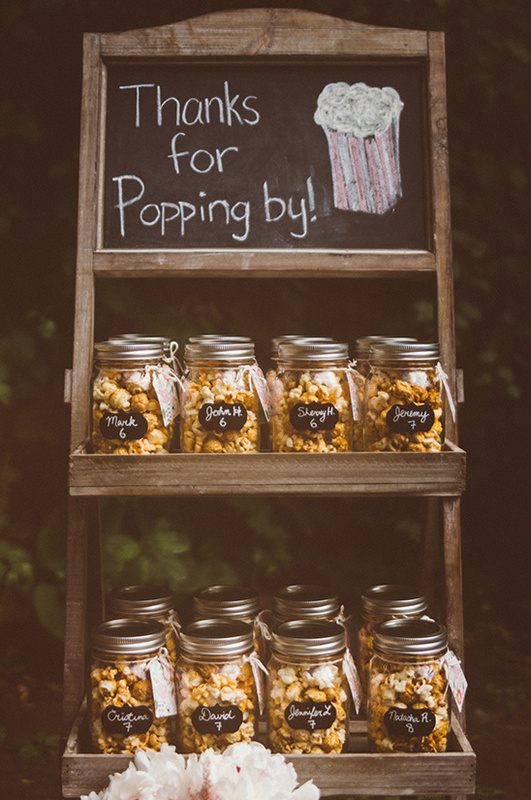 I have seen where many people give away candy and popcorn for a wedding favour, but I prefer something more memorable for my guest to have. Hence, a mason jar with your name on it. 5. 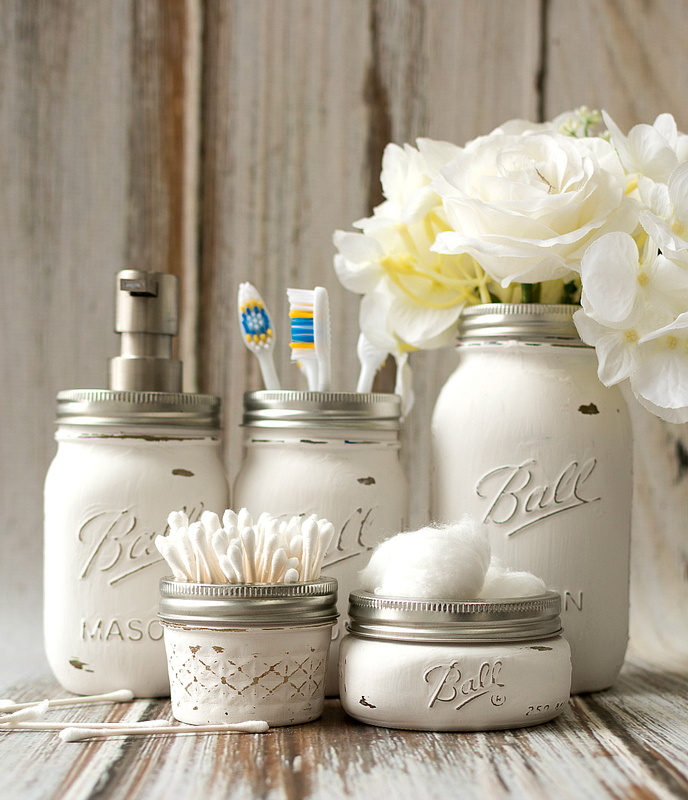 Accessorise your bathroom with this D.I.Y mason jar bathroom storage and accessory set. Tutorial here Mason Jar Craft Love. 6. I love having my box of tissue at the side of my bed. This idea goes great with my decor. It simple and easy to make, I got the tutorial right here Landeelu. 9. 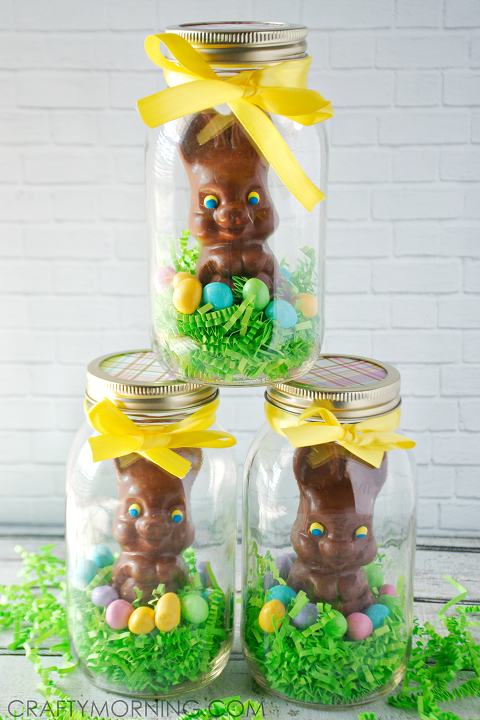 Easter is near and this jar was chocolate is a perfect gift idea. Tutorial here at Crafty Morning. 11. 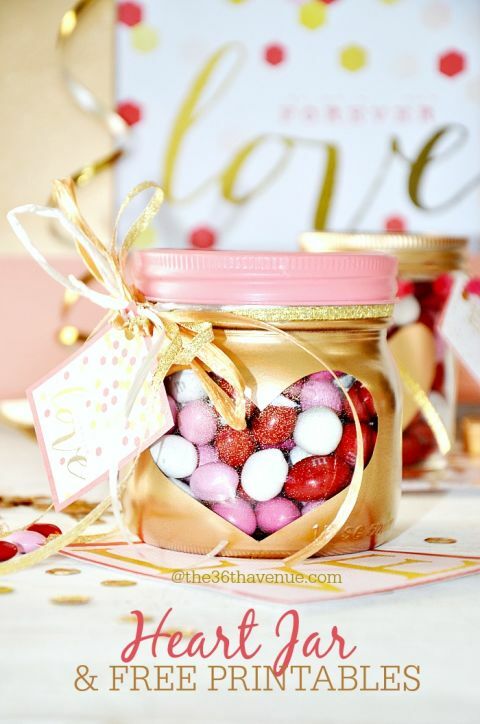 Valentine’s Day jar of Chocolate Gift Set. Tutorial at The 36th Avenue. 12. Let’s not leave the kids out. 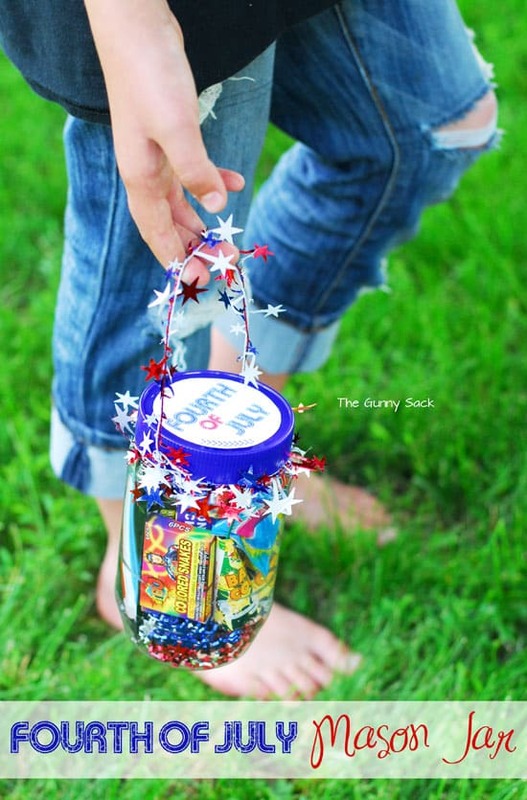 But this 4th ofJuly you can think about D.I.Y mason Jar 4th of July. Tutorial here at Sunny Sack. 13. 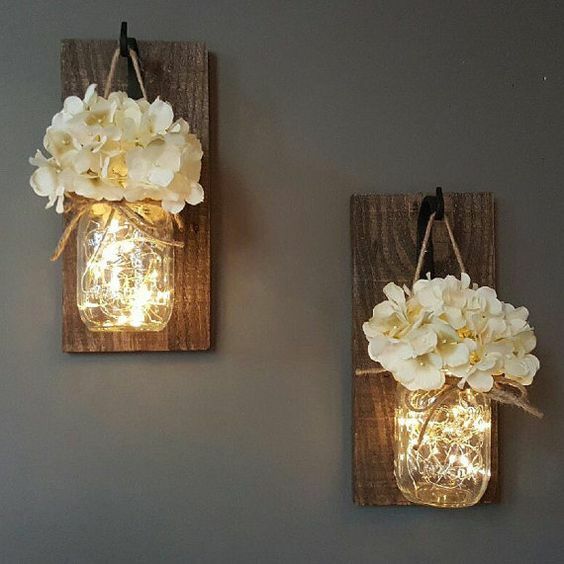 Mason jars can be used as lantern’s or lighting fixtures if you prefer. 14. A centrepiece for your picnic table. 15. 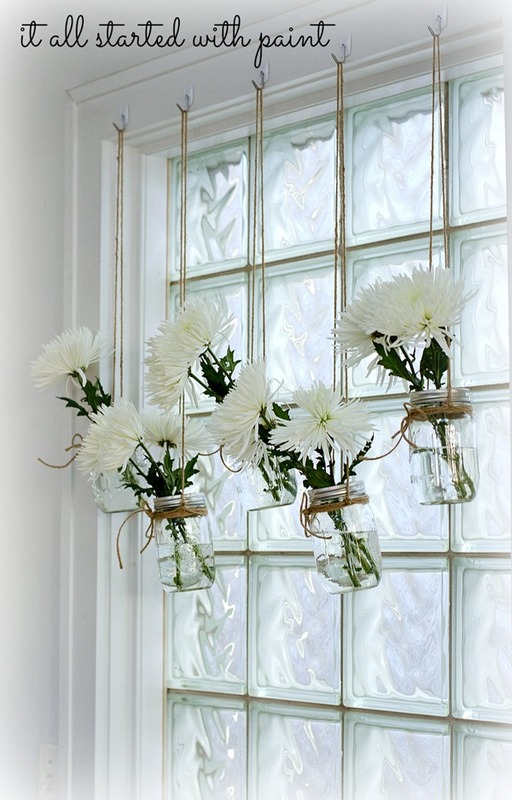 Mason Jar window decor Treatment. Tutorial here It All Started With Paint. 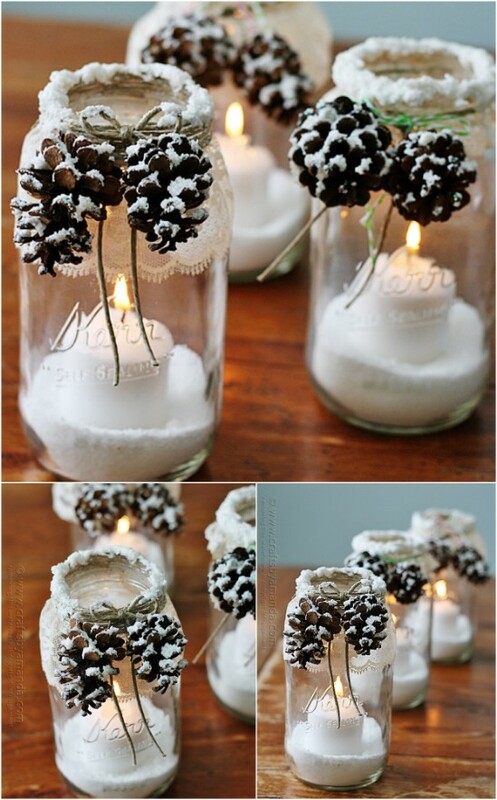 I don’t know about you but I absolutely love these mason jar D.I.Y’s. Let me know what you think.